How to Read Books in English? Do you devote only a couple of evenings a week to English classes and fifteen more minutes to your homework on the last evening? If yes – unfortunately, the effect of such lessons will be limited, let us say; unless you use essaylook.com. In order to learn the tongue as efficiently as possible, you need to practice literally every day. But to study every day on textbooks – hardly many of us will have such willpower. 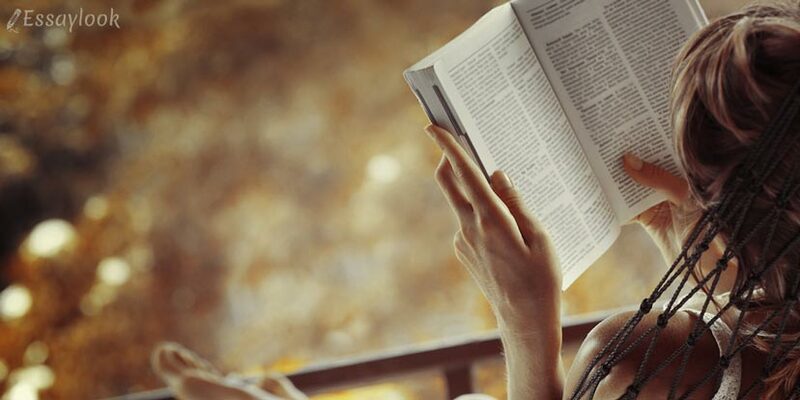 The best solution is to try to get pleasure from it, to immerse yourself in the language atmosphere every day, at least for half an hour or so – reading books in English, listening to audiobooks or devoting evenings to watching movies in the original tongue. We will talk about one technique, which will help you save time. We train the skill of what we do regularly. To run a marathon, you have to run regularly, increasing the distance. Reading, looking up a dictionary every minute is a great way to hone the corresponding skill. And what to do to treat the English text as a way to learn something new, and not as a ciphertext? It is simple: read without looking up a dictionary. The secret is that the ability to read without it much more depends on the habit than on the actual level of knowledge of English. And, as with gymnastics in the morning, it is quite possible to develop this habit. And if at the beginning of the journey it will be difficult, here is a way that will help pass this stage. So, what to do if an unfamiliar word is encountered? Linguistic guess is a term meaning the ability to guess the meaning of a word from the context, from the words surrounding it. It is the linguistic guess that will help you read the texts without stumbling over every unfamiliar word. To see how this works, let us try to use this technique in practice. Here is a sentence with an obsolete word that is synonymous with "elegant". What a flippercanorious hat the young lady of the seventh carriage had, – Mary said with ravishment. Flippercanorious can mean anything – beautiful, cute, graceful. But one thing is clear from the sentence – flippercanorious means something good, pleasant. This may well suffice. After accidentally falling into the glacial water, he felt an indescribable curglaff. What did he feel, we are sorry? Curglaff? Before looking up the dictionary, let us think that we can assert about this word. Fell into ice water, he cannot feel anything good, very few people like this pastime. He fell there accidentally, which excludes the possibility that he is an athlete and simply hardened himself. The word definitely means some feeling and unpleasant one. We define all this without a dictionary and fully understood the sense of the phrase. Curglaff, by the way, is primary shock from immersion in icy water. Determine to which part of the speech the word belongs. Rather, what information should this word convey: is it the one who commits the action? Is this the action itself? This description of the appearance of something or someone? Or is this how the action takes place? These were magnificent turquoise curtains. Turquoise stands before the noun. It seems to be an adjective describing the curtains. Apparently, this is the material or color. So, these were curtains of some unusual color or made of some unusual material. 2. Try to determine by context whether an unfamiliar word means something good or something bad. What do the characters do when they look at it? Do they smile or jump with disgust? Here is the answer. Often the knowledge that this is a synonym for good/bad, big/small will be enough to understand the sense of the phrase. I cannot help being angry! This was an absolutely obnoxious remark! Judging by the fact that the hero is angry, the words were bad. Accordingly, the emotional color is obvious. 3. Try to learn something about an unknown word from the rest of the sentence. What else does the text say about this word? A butler opened the door and offered to wait until the Duke returned from the city. A butler? Is it servant? Valet? So: do not rush to look up a word in the dictionary – determine what role it plays in the sentence. Look at the context: maybe it is just a complicated word, meaning something bad/good, big/small, hot/cold, etc. What else can you learn about this word from the context? But even if none of this has helped, do not rush to type the address of your favorite translator. After all, is it clear what the phrase is about without this word? If not – and is it clear what the paragraph is about without this sentence? If not – and is it clear what is the whole text about without this paragraph? Apparently, you need to select a text of a different level of complexity. Rated 4.6 | 117 votes.